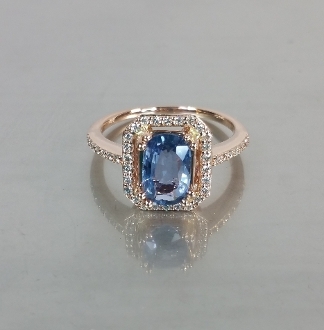 This ceylon blue sapphire ring is set in solid 14 karat rose gold and white diamonds. Ceylon Blue Sapphire total weight is 1.67ct. Total diamond weight is 0.21ct.